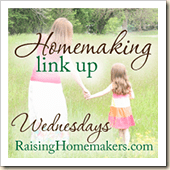 It can be so easy to jump from Halloween/Fall festival planning, right into Christmas! But, I hate to let that happen in our home! I love Thanksgiving!! One of my favorite holidays because there is much less stress associated with it! I love that we usually get together with family, usually have some wonderful food, and usually have lots of down time. But, it can be missed in the rush for Christmas if we are not careful! In our home, this year, we are capturing the Thanksgiving spirit by our annual listening to Thanksgiving, A Time to Remember. This is put out by Family Life Ministries and we LOVE it!! 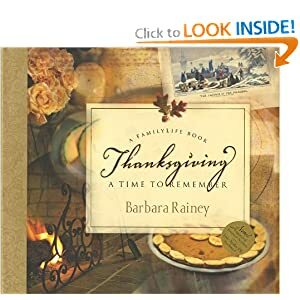 It is an audio drama that Barbara Rainy put together that tells the real, historic story of Thanksgiving. Along with the Audio Drama CD that we have we love her book, Thanksgiving A Time to Remember. There are six chapters, about 2-3 pages each, great for an evening devotion with the kids. What I love about this book is the historical accuracy! Too often, books today are being re-written to get God out of our nation’s history and our of our holidays. This book captures exactly how God is the center of our history and this holiday! There is a section in the back to journal things you are grateful for, it would be precious to fill that in on Thanksgiving Day each year – and then look back at what everyone entered in past years. Along with the book and audio CD there is a Hymn CD too – we love this, okay – I love this. There are no voices, just an instrumental CD, but when it plays the kids love recognizing hymns that we have studied. Family Life is selling a Pack of everything we have and more if you are interested, check it out here. 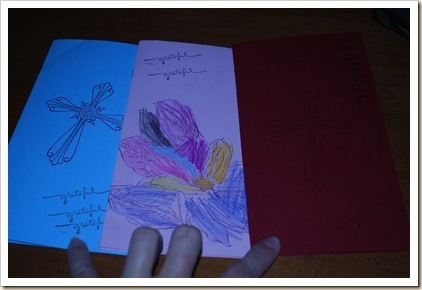 We are doing Gratitude Journals this year too, each child has a simple version of the one I saw here. Each day they are entering 5 things they are grateful for. We will do this past Thanksgiving, hopefully up to Christmas. Then, I plan to stash this cute little book in their Christmas Treasure boxes, for the to look at each year when we open those up. That is a few things we are doing to savor this season and all it stands for. We are trying to really spend some time realizing how grateful we are for all God has blessed us with. Hope you are able to grab some of the joy of Thanksgiving this year, before it slips away! !